This is a nurse practitioner monitored weight loss program, that when combined with a low calorie diet can create a potent and effective weight loss solution. Our program utilizes a hormone called hCG (human chorionic gonadotropin). hCG has long been shown to create weight loss in areas where there is excess fat storage while increasing lean muscle mass and keeping patients feeling satisfied without hunger. 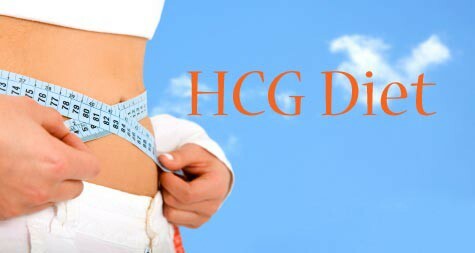 hCG was first prescribed as a weight loss tool by British physician Dr. ATW Simenons in the 1950’s. He spent decades exploring the causes and treatments for obesity. Through his research, Dr. Simenons noticed that after administering hCG to patients on a low calorie diet they lost weight, without experiencing irritability, hunger pains, headaches or weakness. He observed that hCG had a positive effect on the hypothalamus by decreasing hunger and that the hCG diet caused an increase in the loss of fat storage while maintaining lean muscle mass. Since Dr. Simenons’ research, many weight loss clinics have documented hCG’s abilities to help patients lose dramatic amounts of weight without side effects. However, the FDA could never reproduce his results and therefore, hCG is not recognized as a drug prescribed for weight loss treatment. Our hCG program is based on the Dr. Simeon hCG diet program, however, our program utilizes a transdermal administration of the hCG hormone called hCG Cream instead of daily injections. Your weight loss results will be the same. The cream is used on the skin and absorbed into the blood stream rather than being injected by needle.